Accord ที่มีอยู่ใน 4 สีที่แตกต่าง - Crystal Black Pearl, White Orchid Pearl, Modern Steel Metallic and Lunar Silver Metallic. 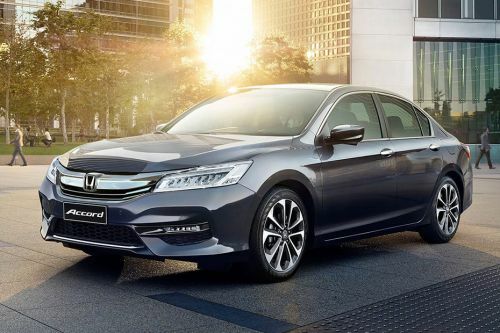 2016 Honda( Spirior )Accord Euro Official !! On road prices of Honda Accord in starts from ฿1.38 Million for base variant 2.0 E, while the top spec variant 2.4 EL costs at ฿1.64 Million.